Nope, we're not trying to trick you (there's a good ten days left until April Fools) - British supermarket chain really is preparing to stock the classic vinyl music format in over 150 different store across the United Kingdom. As kitsch as it might be to some, vinyl is having something of a renaissance at the moment, with more than two million LPs sold in 2015 alone (an increase of 1.3 million from 2014). In fact, Sainsbury's isn't the first supermarket to make the decision to support the analogue format - Tesco has already starting selling vinyls alongside the steadily declining CD. "We don't see this as a novelty gifting fad but a complimentary part of our existing music offer with a long term future in our stores," Pete Selby, head of music and books for Sainsbury's. 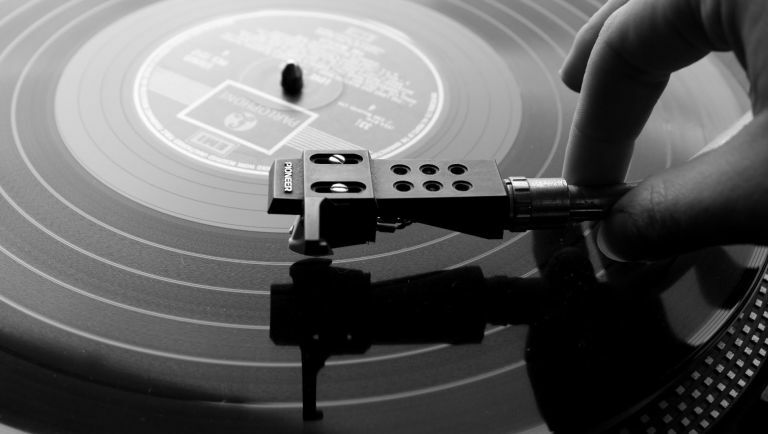 "Vinyl is definitely experiencing a revival with demand growing stronger year-on-year. It is our aim to make the vinyl experience easy and pleasurable for our customers who are ready to re-engage with a format that resonates with them on an emotional level." Sainsbury's will begin with 18 different titles on vinyl, with a vast majority of those LPs being classics such as Nirvana's Nevermind and The Smiths' The Queen is Dead. One modern entry will be represented in vinyl format as part of that first wave - and its unsurprisingly going to be Adele's new album, 25.